Lovesong is a sapphic themed drama written by Bradley Rust Gray and directed by So Yong Kim. 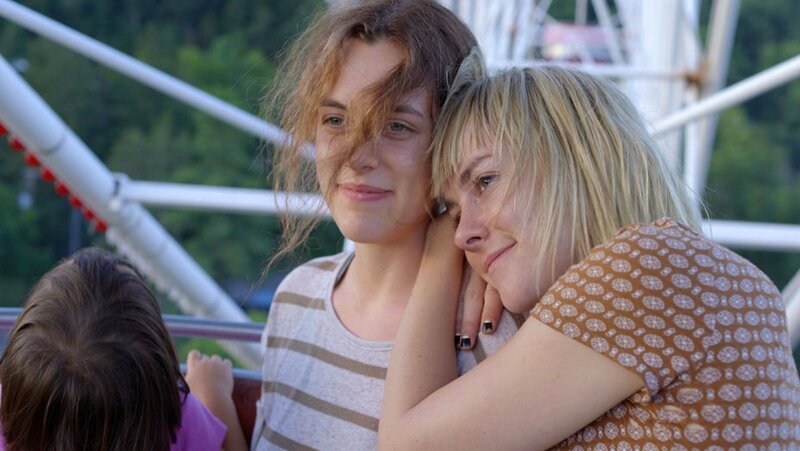 Here is the official synopsis of the movie: Neglected by her husband, Sarah (Riley Keough) embarks on an impromptu road trip with her young daughter and her best friend, Mindy (Jena Malone). Along the way, the dynamic between the two friends intensifies before circumstances force them apart. Years later, Sarah attempts to rebuild their intimate connection in the days before Mindy’s wedding. The film Lovesong should be released in American cinemas from 17 February 2017. This playlist includes the official trailer and two interviews, one with the director (by Sundance) and an other with the main actresses (conducted by Variety and Fandango).